Making Money Online is always a concern for most people using the internet. Ideas of making money online can come in difference formats, but I will try and explain some basic tips you need before embarking on online business. Though with these tips I’m sure you going to make money online quickly, but not overnight riches. 1. Clue. Anyone can easily go to Google for ways to make money online, but you need to have an understanding of what you’ll be venturing into or else you’ll always search everywhere for answers to what you already know the solution. What can I do and good at? Am I knowledgeable about what am about to start? What is that thing I enjoy talking and doing? What are my plans on providing information on them? 3. Website/Blog. You need to start a website / blog if you’re serious about making money online. Though there are some online money making opportunities out there that doesn’t really requires website or blog, but it’s always good to have it. Don’t get me wrong, I’m not saying a website/blog is the only way to make money online, am just saying it’s the best way to create an automated source of income. Before you start thinking “I don’t have money to start a website or blog”. You can start with free blogging platforms like Blogger and WordPress. But if you have the money to start, I highly recommend HostGator web hosting company. The hosting fee at HostGator for beginners is as low as $4.95/month (money to buy coffee). Another obstacle that most people had is “I don’t know how to design a blog or website”. Most pro bloggers out there too started from knowing nothing, they build themselves. But in case you need help for setting a professional blog/website, I can be of help. But it is always good for you to learn how to create and design a website/blog yourself. 4. Be Persistence and Consistence. If making money online is as easy as some self called gurus always say, then everyone would become e-millionaires. To make money online requires hard work. Don’t be like most people out there who quit trying once they find out how much work they’re actually going to do to create a successful online business. Make persistence your watchword if you’re planning to be successful with online business. Try all your best to always add new content and possibly new products to your blog/website daily to keep your readers coming back every time. Remember “a hungry crowd can never get enough no matter how much they spend’. Finally, if you’re into information marketing business, remember that this business doesn’t bring overnight success. You can start this type of business by selling your own or someone else products. Don’t give up, because the destination may be nearer and you think it’s still far. Don’t expect overnight success, everything goes step by step with persistence and determination. Like I said earlier, If Making Money Online is as easy as those self called gurus always proclaim, everyone would have be e-millionaires. Have any suggestions? Any vital omissions? Leave ’em in the comments. @Adeline Lee, yes you’re right, but you can be making money and as well be building your brand and reputation. Earn Money Answering Questions at http://www.bulkanswer.com No Reg Fee, No Other Charges. Thanks for the tips! This will be really helpful fo those wanting to work online or home based. Also check out Making Money From Home , there's a lot of useful ideas too. 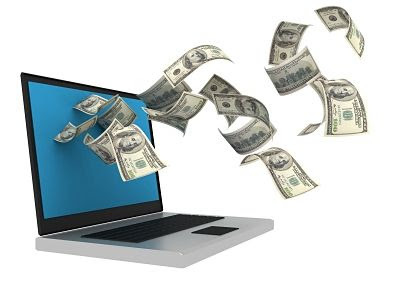 There are many ways to earn money online. In fact, a number of professionals has been choosing this path instead of applying to companies. @Abdul Yes, most affiliate network always pay with checks. @Anonymous Switch back to older interface for blogger or update your browser to use the new interface. Please how can i advertise other people product is it by knowing them or will i go and ask 4 permision from them how please. @Kingsley You’re welcome. You can also subscribe to this blog so that you will receive our future update in your email even when you’re not online. Lots of money making tips, Justnaira.com? I just found you! I love some articles here like “how to make money online with bulk SMS…”, great job, I am learning a lot here.